Researches at the University of Florida are currently working on a way to create contact lenses to treat post-op patients recovering from eye surgery. The lenses will be used as a 'bandage', protecting the cornea and slowly delivering the drug over a longer period of time. The idea itself isn't new, but the length of time is significantly prolonged. 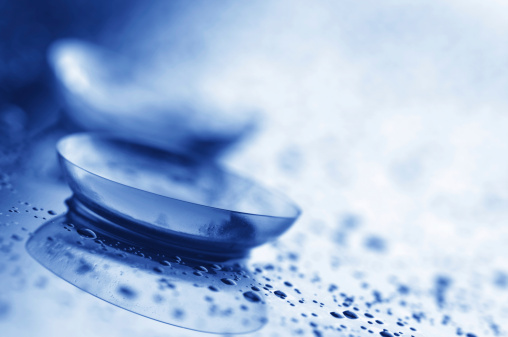 By adding vitamin E to the process, the contact lenses are able to keep drugs in the eye for up to a week. Particularly in the case of glaucoma patients, more traditional treatments such as eyedrops tend to have a relatively poor compliance rate. This type of treatment could raise patient compliance and also allows their medication to last for a longer period of time, which in turn would decrease the number of trips they take to the doctor's office. Although, Ocular drug delivery is one of the most challenging endeavors for formulators, it seems like there have been many developments in this specific field recently, what do you think? Also, how will sustained drug methods change the way medication is prescribed? Our track, Drug Delivery Technology Innovations, will cover both ocular and sustained drug delivery. Join us this Wednesday at the 17th annual Drug Delivery Partnerships event for our two sessions: EyeSol™ – an Advanced Ocular Drug Delivery Technology and Sustained Drug Delivery for Multi-Weeks to Multi-Months, through Implantable and Injectable Polyesteramides. To view our full agenda, download our brochure. It's not too late to register, you can still use code XP1878BLOG and get 15% off the standard rate. We hope to see you this Wednesday in sunny Phoenix!